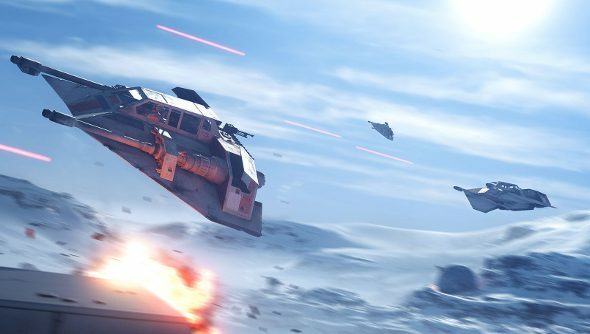 Ahead of the Star Wars Battlefront, which starts soon, DICE revealed that the game would be shackled to a skill-based matchmaking system, and that a server browser wouldn’t be available. It’s something that really should be a standard in a multiplayer shooter, though has been notably absent from several big titles. These sorts of limitations are never met with cheers, so why have DICE decided to use matchmaking only? Will Star Wars Battlefront make it on our list of the best Star Wars PC games? I don’t know, I’m not psychic. That’s why I’m asking you. Egalitarian matchmaking doesn’t sound too bad, but making things “fair and even” doesn’t always make them more fun. There’s no room for underdogs to surprise a group of advanced players and no opportunities for groups to set up their own servers just for themselves. I suggest that it’s options that people want, not a system telling them who to play with, and a server browser offers that. You can see every possible match you can join and then pick the one that suits you rather than leaving your fate up to an algorithm. And hey, it’s not like matchmaking and server browsers can’t co-exist. They do, frequently. That strikes me as more egalitarian than forcing an even playing field on everyone.